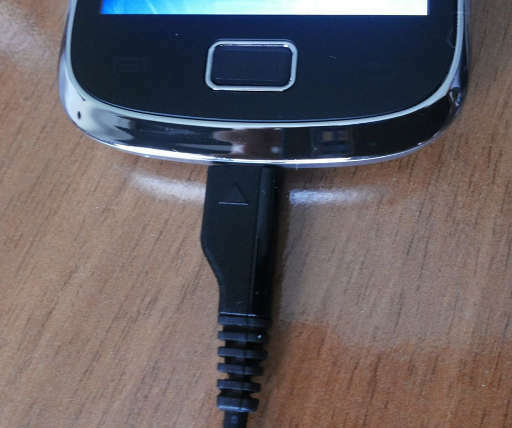 At last you can plug it right at the first try without even looking. So it's a different shape connector? How does it work? It's a normal mini USB connector that works just like the others. It just has a different shape so you can sense the correct side with your fingers, instead of looking, trying, looking again and finally plugging it right.